Specialist Bookshop for Psychic Phenomena supplies, established in 1983 in the historic Main Street of Haworth. Stocking hundreds of books on Dowsing, Clairvoyance, Healing, Reincarnation, Complementary Therapies, Astrology - and lots more! A large range of Tarot Cards, Crystals, Essential Oils, Incenses, Runes, Pendulums, Celtic and Mythical Pendants. Tarot Card or Palmistry Readings most weekends. 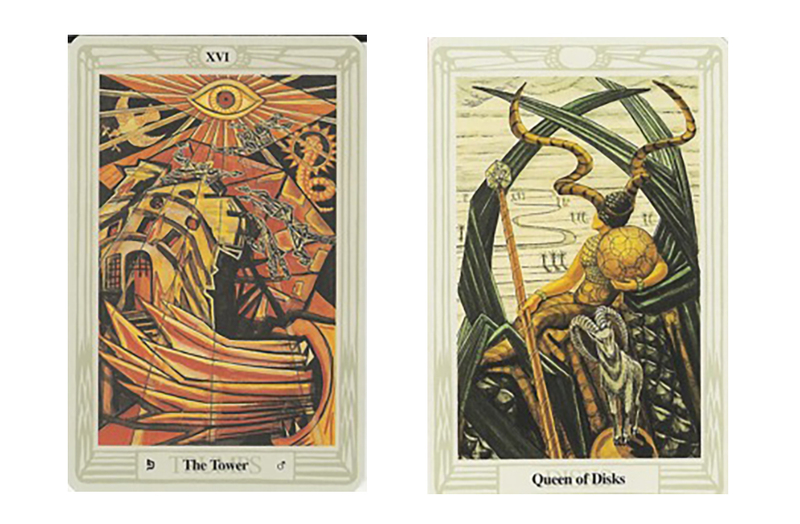 We often have a selection of our of print tarot cards and specialist wicca and pagan books. We have a varied selection of Quartz Crystals and Gemstones ranging from individual small boxes at £2 up to larger specimens at over £100. We also stock quality essential oils, incense sticks and loose incense for use with charcoal. We don't limit ourselves to psychic books - we also have a selection of Haworth local history books and Brontë titles. Saturday and Sunday 11.00 - 16.00 throughout the year except Christmas Day. Also open Bank Holidays and occasionally during school holidays.